There are 1 cat videos tagged with asian-leopard-cat. 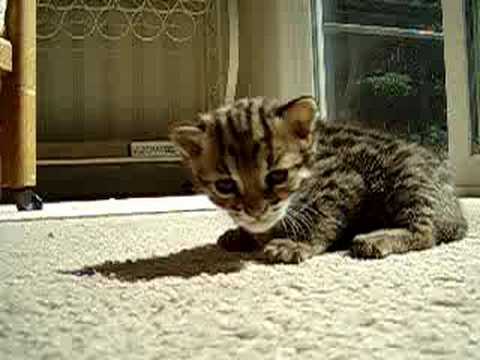 We're trying to pinpoint what this Asian Leopard kitten sounds like, maybe a meowing, growling, purring robot? The adorable little wild cat can't control the noises coming out of its mouth and just sounds so strange! As a side note, Asian Leopard cats are wild animals and should not be kept as pets.